The course of life brings with it many joys, and many challenges. Through accidents, illness, or simply age, you may lose the ability to make decisions on your own. By establishing a Power of Attorney (POA), you can ensure that your wishes are fulfilled, and needs taken care of by someone you trust. POA’s let you, not a judge, decide what is best for you. Arizona has different Types of Powers of Attorney available to fit a variety of needs. You can decide what fits you best. This form allows you to assign someone close to you, a friend or family member, to make financial decisions on your behalf. This person is called your “agent”. The agent is responsible for carrying through with your wishes and for making all financial decisions on your behalf. The agent can make decisions under 2 different scenarios. The first scenario is if the POA is a springing POA. This means that as soon as you sign the document, it springs into action. Your agent has the immediate ability to make financial decisions for you. This type of POA is often used when an elderly parent, who is still competent, would prefer not to handle his/her finances any longer. The second type, which is more common, is a durable POA. Your agent cannot make financial decisions for you unless you are mentally incapacitated. Mental incapacity is usually determined by a doctor and your agent. This is where the durable part comes in. When you actually sign the document, you need to be mentally competent. The document does not become invalid because you end up being mentally incapacitated at some future point. The durable part means that the document stays valid even if you are incapacitated. Sometimes referred to as a Durable Special Power of Attorney, this type allows very specific decisions to be made by the agent. These can vary, and are dictated in the document. It can be as small as something like picking up mail, to as large as handling real estate transactions. It also has the benefit that it is durable, meaning it will last past mental incapacitation. Medical POA takes care of all of your medical decisions. Most Medical POA’s kick in only if you are incapacitated. You name an agent to make medical decisions for you. One of the most important things a Medical POA does is to allow your agent to get your medical records. Your agent needs POA in order to get around the privacy laws that protect your medical records. Medical POA’s include whether you want to be an organ donor, your views on pain management and your views on treatment options. It also allows for your agent to make decisions that you did not foresee or specifically document in the POA. The agent must be someone who is at least 18 and who you trust completely. A Mental Health Power of Attorney deals only with psychiatric hospitalization. You name an agent who can have you committed. As frightening as this may sound, if you are a danger to yourself or to others, this type of hospitalization may be unavoidable. Having this POA in place avoids the need for loved ones to rush to court to get authority to take care of you. This POA lays out a stringent test that must be met in order for you to be kept in a psychiatric facility. This POA allows parents to grant a blood relative the ability to take care of a minor child for a period of up to 6 months. The blood relative can make all decisions for the minor. The form is automatically void after 6 months, but the parents can renew the POA for another 6 months. This type of POA is useful in situations that will take the parents out of the minor’s life for a long period of time. This type of POA can also be signed by parents who are going on vacation without their children. Tax Power of Attorney is typically given to an accountant to take care of tax filings on behalf of another person. Unlike other POA’s, this form does not require a notary to be valid. This can be used if a person is incapable of filing taxes or simply wants to hand responsibility off to an accountant. 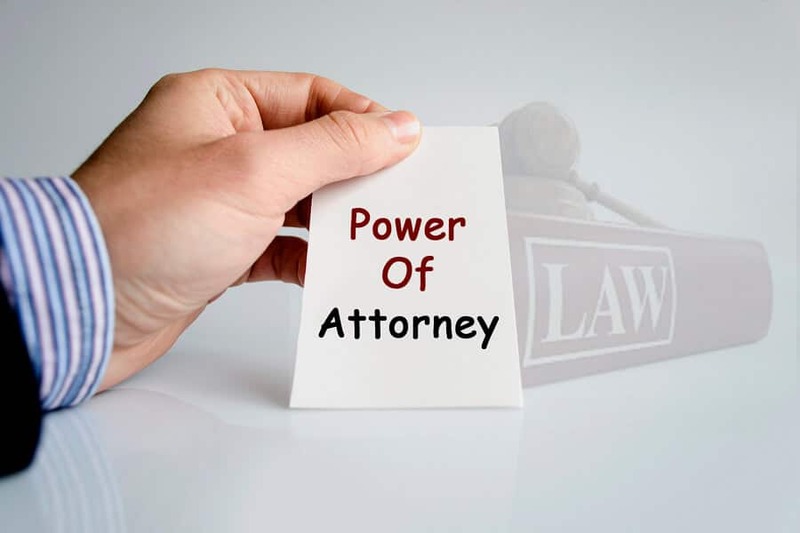 These are some of the more common Powers of Attorney that are available. In order to decide which POA’s you need, it is suggested that you meet with an attorney, Contact Susan Sandys now.